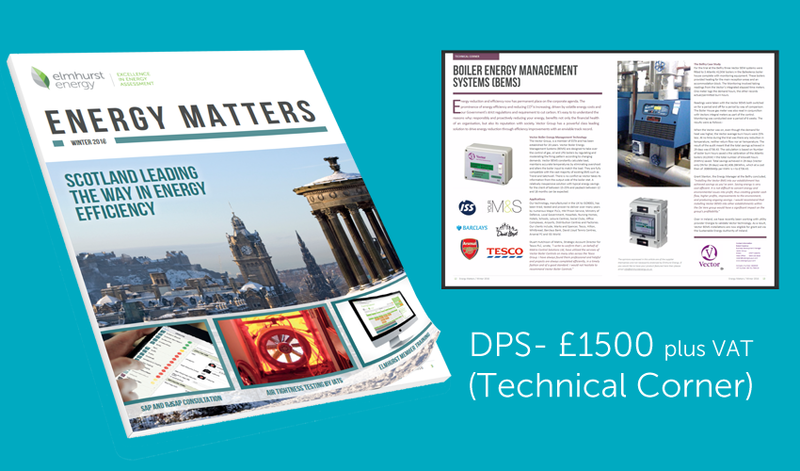 Energy Matters is Elmhurst's quarterly publication, which presents the latest energy assessment news as well as updates from the wider industry. The magazine is sent to approximately 20,000 individuals including architects, energy assessors/consultants, ESOS lead assessors, and estate agents. As Elmhurst's leading publication, the magazine will also be available to industry affiliates through exhibitions, conferences, training courses and networking events. Each edition also provides 30 minutes of CPD for energy assessors. Want to recieve Energy Matters? Complete the form linked below to add yourself to the Energy Matters mailing list. We currently provide a 'Technical Corner' section for organisations to present their latest technologies and products within the industry. This will allow your organisation to reach out to industry experts and raise awareness of the products and services that you provide. Elmhurst also welcomes guest features from organisations and individuals. This is typically included at the back of the publication as a 'last word' piece. This feature can be used as an opinion piece and can reinforce the expertise and professional views that you/your organisation have.